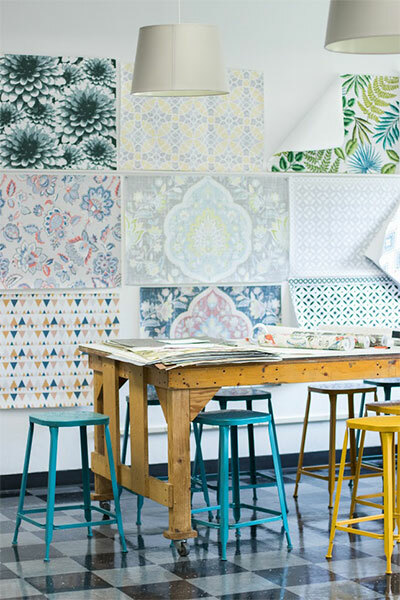 Our state-of-the-art design studios are acclaimed for producing fresh, on-trend wallpapers and home décor products for worldwide distribution. Our inhouse designers and stylists search the globe interpreting design and color trends to bring products to the marketplace that are fashionable and dynamic. We offer a spectrum of collections, from bold to understated, formal to casual, and traditional to modern. Our talented artists and visionary creative team work together to develop and produce cutting edge designs for wallpaper, wall decals, home décor and more.